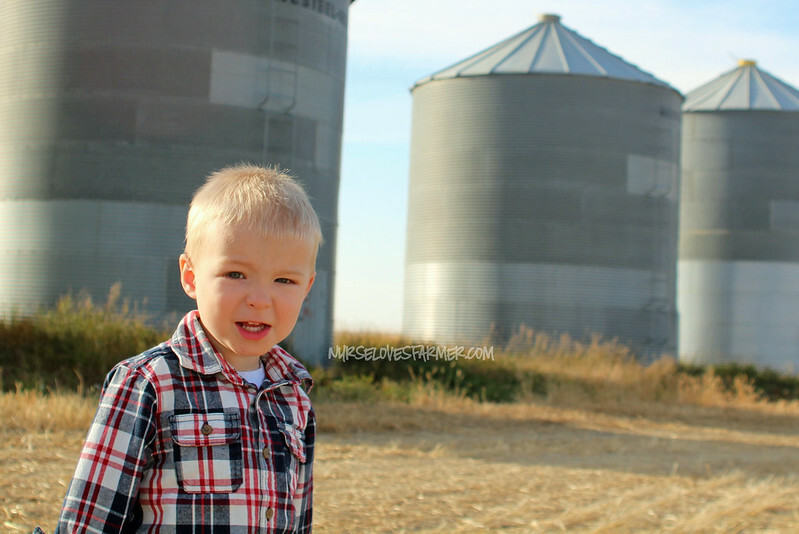 I worried about how I was going to get through harvest well into the 3rd trimester as a “single” mom. With Jay out in the field for 14+ hours every day for 4 weeks and counting, I look back and wondered why I worried. 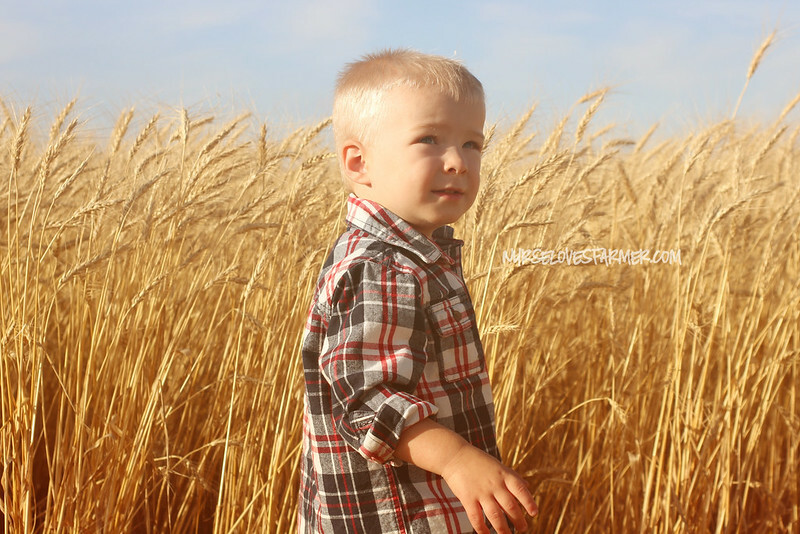 Braden has been better than good, and I’ll write more on that later… BUT, for right now…I’m ready for harvest to be DONE. So are the guys. 34 weeks pregnant today, about 4+ weeks of being a “single mom”…yup my harvest tolerance has been maxed! 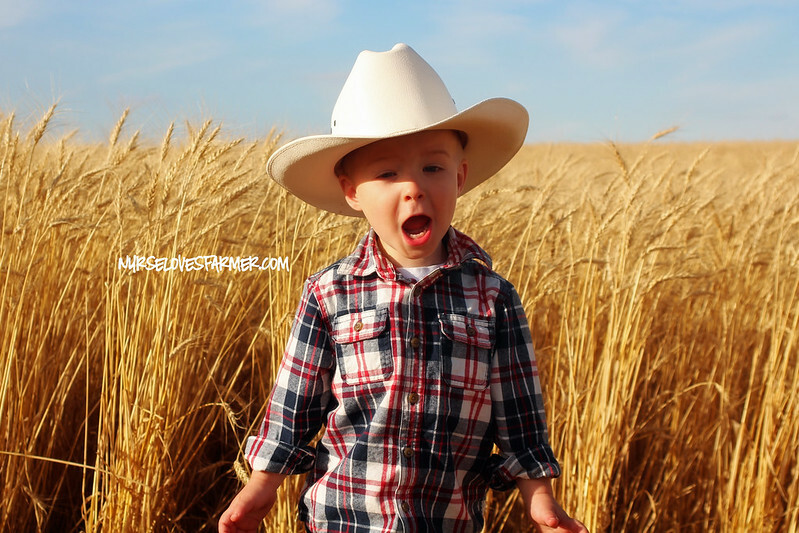 But, when you look at these pics, you’ll see why I really do love harvest so much! 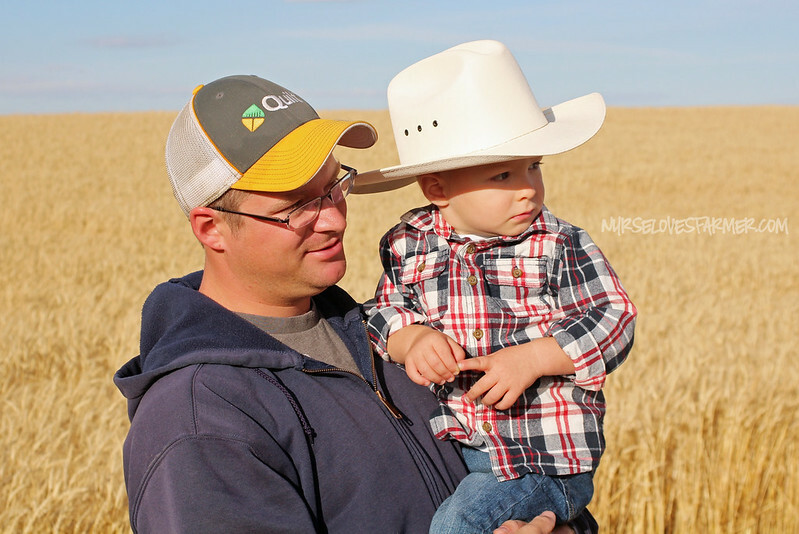 We headed out to see the harvest crew at the Rosebud land, which is about 20 minutes away from the farm site, last Sunday when we got back from the wedding. I missed my boy like crazy, I think more than usual because he’s at an age where he is keenly aware of all that is going on around him, and missed us and knew where we were and that we were gone. This is his “cheese” face! 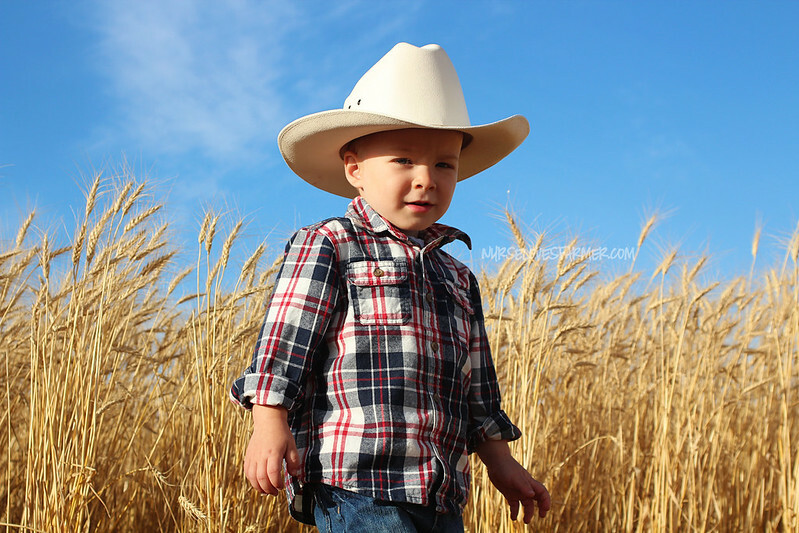 Since it was a gorgeous fall evening, I decided to dress my boy up in his finest harvest duds and do our annual harvest photo shoot. Uncle Craig even said to me “did you have to dress him exactly like me?” But I think he was very flattered! Funny he said that, because I did tell Braden he was going to wear his “Uncle Craig shirt”! 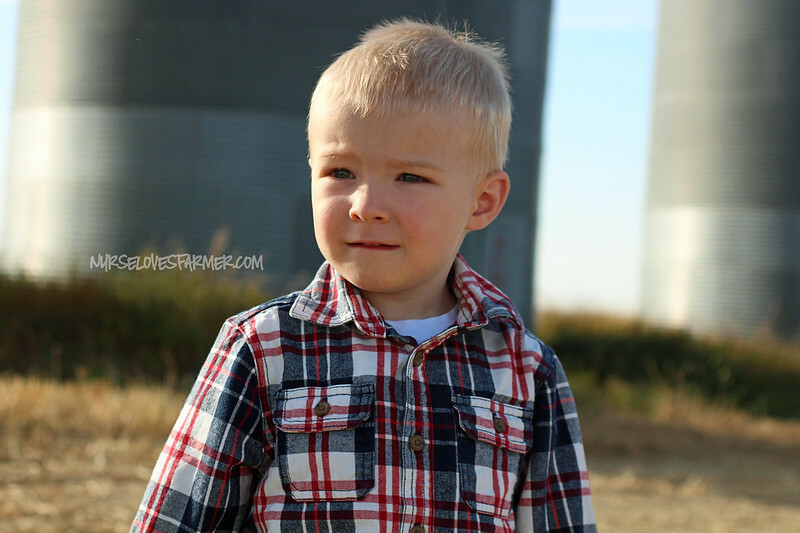 I still love all of my free Pioneer Woman action sets and playing around with them! The effect on the above photo is called Sunshine and below are Vintage, Sepia, & Soft Faded. 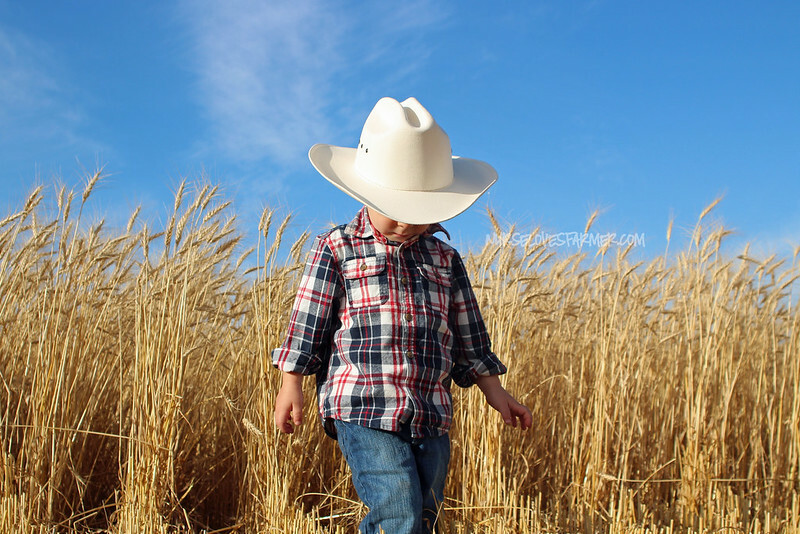 Also…how adorable is his cowboy hat? So glad Jay bought that for him when we went to the Calgary Stampede this summer! Braden calls it his “Hoody hat” as in Woody, from Toy Story! This is his “BIG CHEESE!” face! And, if it’s not evident the bond between these two in this photo…I don’t know what is! 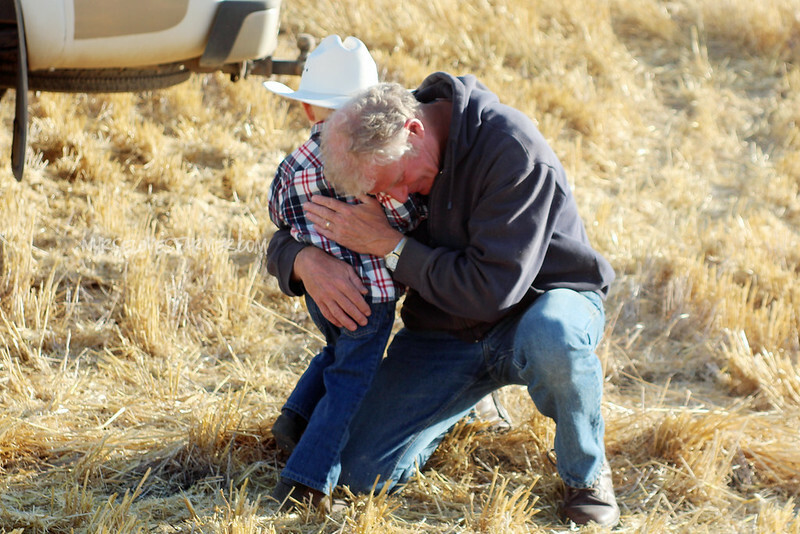 Braden missed riding the combine with his Papa and his Papa missed him just as much! Best pic I’ve ever gotten of these 3! Braden loves everything about harvest. 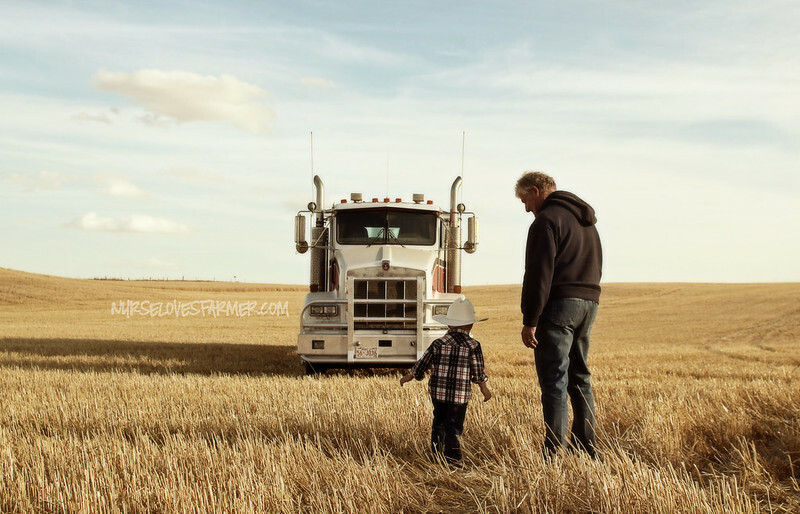 Being with his family, going for combine and truck rides. I’m just so thrilled that he is just so passionate about all things farming, he’s just in head first! Just check out these beautiful harvest skies! 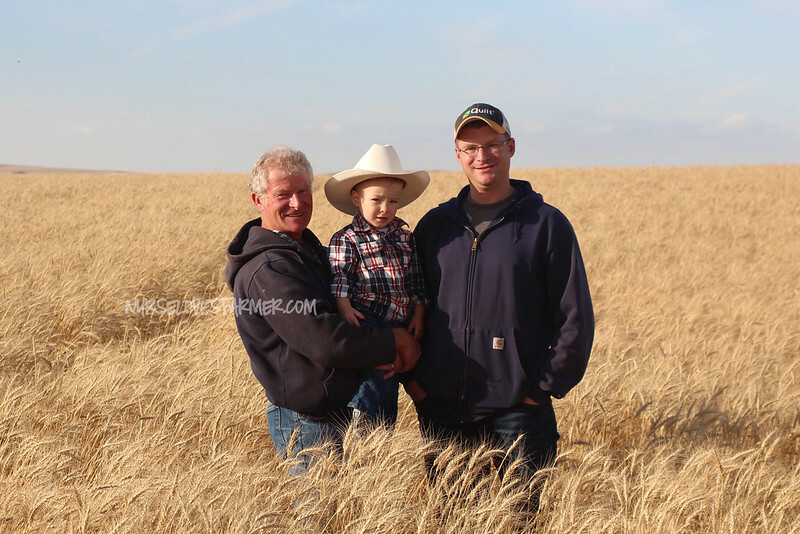 This was our last wheat field and the guys are just finishing up the last fields of canola now. We can see the light at the end of the harvest tunnel! Then it was time for a harvest take-out supper in the field. I love these moments and capturing the memories for years to come. Note, this is the FIRST picture of me ever at harvest time. 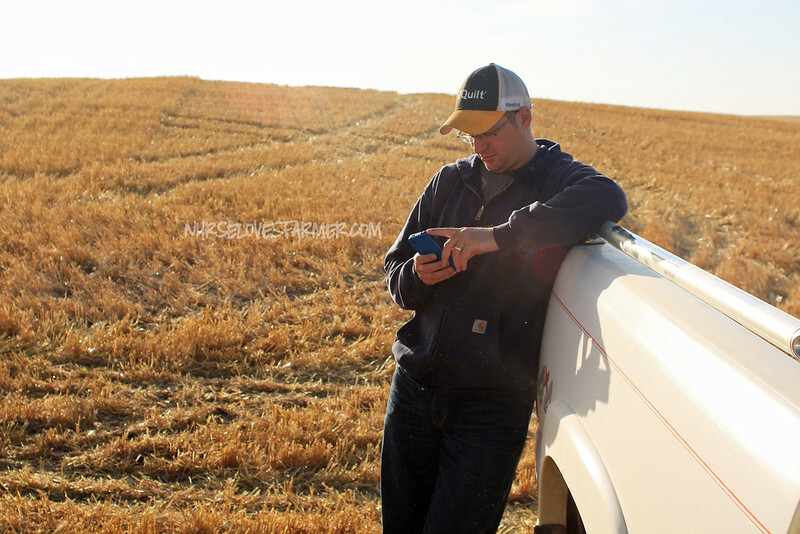 I noted that when James was putting together the movie for our farm, there wasn’t a single.picture.of.me in the last 7 years! It’s because I’m always the one taking the pictures! So, for the next harvest movie…there can be a picture of me at 33 weeks pregnant with Squishy! Thank you soooooooooo much! Haha I'll never do it as a professional, but I love to do it for friends! It really is beautiful, we're very blessed and it was so nice to see you! You are a saint! I whine when my husband works late 1 night a week…can't imagine all that time! 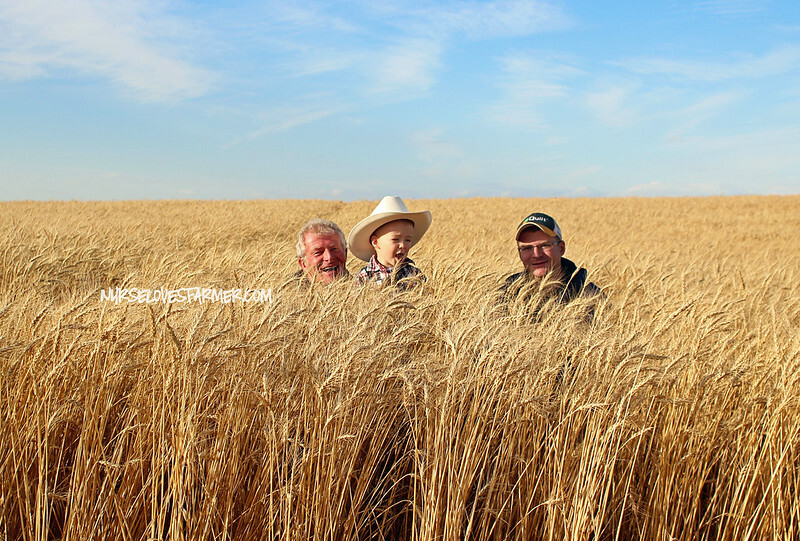 Love the pictures, and you look beautiful at the harvest too! Haha…no not a saint, just used to it for the most part! Thanks so much, Chelsey! Simply amazing Sarah! I love them all! Coming from you, that means a lot! Thanks! Stunning photos (as usual) and you look so TINY in the photo above!! Love the new photos! Well done! Wow. Just wow. These pictures are absolutely amazing! Thank you so much! The scenery makes it hard to get a bad picture!